It has been a tradition of the American Association of Law Libraries that the business of the Association is conducted at its Annual Meeting where members were present at their own expense or at the expense of their employing institution. While it is expected that this tradition will continue, it is recognized that the expanding nature of the Association regularly requires expenditure of travel funds by members and staff that are borne by the Association. To maintain Association practices and an equitable reimbursement policy consistent with the Association’s tradition, the following policy is to be applied. AALL covers the cost of travel and on-site expenses for employees, officers, members of the Association, and some others not in the direct employ of the Association, when traveling on official AALL business, under the conditions outlined below. The Association expects that travelers exercise good judgment in making arrangements that strike a balance between the expenses incurred and the convenience of the person traveling. The policy applies to expenses charged to all funds administered by the Association, whether these are generated by dues, fees for services and products, or grants. While it is understood that absolute adherence to specifics may not be possible in each case, significant departures from the policy must be approved by the Executive Director before travel reimbursement is made. In all cases, reimbursement for travel expenses is limited to actual reasonable and necessary business-related expenses. 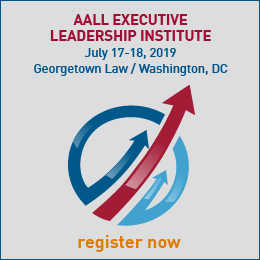 AALL covers expenses incurred while on Association business or for attendance at meetings, workshops, professional development programs and other such events previously authorized by the President or Executive Director in accordance with the AALL Reimbursement Policy. Individuals are reimbursed for all expenses incurred in performing duties as Officers, Board Members, Committee Chairs, SIS Chairs, Chair of the Council of Chapter Presidents, Chair of the SIS Council, and other appointed or elected positions, when specific authorization has been given by the President or Executive Director. All expenses, including travel expenses, are reimbursed by the Association for required attendance at Board and committee meetings held at times other than in conjunction with the Annual Meeting. Committee Chairs and members pay for their own accommodations and travel expenses at the Annual Meeting. Transportation authorized for AALL business travel includes automobile, rail, airlines, buses, taxicabs, and other usual means of conveyance. All travel is to be by the most economical mode of transportation consistent with reasonable convenience. Air travel should be booked through the Association’s designated travel agency in order to take advantage of previously arranged discounts. All travelers will be offered the least expensive direct route to their destination. Connections and one-stop flights may be used if they are not unreasonable in time loss. Airline preference will not be considered to gain frequent flyer mileage. Travelers who want to be selective in their airlines will be responsible for the cost differential. Contact the Director of Meetings to obtain further information about the travel agency and the association’s account managers. Air and rail travel is to be coach or economy class. Automobile travel when a traveler drives his or her own car, the allowance is at the current federal reimbursement rate per mile, plus cost of tolls and parking. The reimbursed cost for mileage cannot exceed what would have been the cost for coach or economy airfare for that trip. Rental car must be approved in advance by the Executive Director. Taxicabs may be used in cases where less expensive means of public transportation are unavailable or demonstrably less convenient. When transportation to and from airports by public transportation, airport limousine, or bus, is available and convenient, it should be used in lieu of a taxi. Staff has negotiated discounted group rates with major hotel chains. Every effort should be made to utilize these preferred hotels when arranging meetings for Association business. The individual(s) responsible for hotel accommodation(s) should call the Director of Meetings, who will assist them in making reservations at the best rate available in that locale. The planner(s) may choose a more expensive hotel, however, reimbursement will be no more than the rate quoted by the Director of Meetings, based on current group rates. Exceptions are allowed for rates at hotels where official meetings or other functions are scheduled. Such rates should be justified in writing when claiming reimbursement. Every effort should be made to select hotels offering educational or other discounts. It is recognized that the cost of meals varies considerably among localities. This expense, including tips, should average no more than $75.00 per day. No single meal reimbursement request should exceed $50.00. Exceptions are allowed for meals connected to official meetings or functions. Receipts must be submitted for expenses over $25.00. Reimbursement of these services is appropriate when necessary for the proper conduct of AALL business, as are calls home to inform the traveler’s family or workplace of changes in travel plans. Whenever possible, advantage should be taken of the reduced rates available at certain times and conditions. When circumstances merit the President, Vice-President, or Executive Director, may charge appropriate expenses for professional hospitality. The names of those entertained, and the date, time, and location should be included in the travel expense report. Waiters – generally 15% of meal cost. Taxi Drivers – about 15% of taxi fares. Bellboys – usually $1.00 per bag. Valet Parking – generally $1.00. Travel advances related to anticipated out-of-pocket expenses are available by making a request to the Director of Finance and Administration. Each expense report shall be submitted to the Executive Director on approved vouchers accompanied by original receipts for each expense in excess of $50.00. Payment will not be authorized without the support of these receipts. Vouchers should be submitted within ten (10) working days of the completion of the travel. Reimbursement for expenses will be administered by the Director of Finance & Administration and may be reviewed by the Treasurer. In addition to the GENERAL POLICIES set out above, the following specific policies will apply to annual meetings. Registration fees and fees for special events shall not be waived for Association members. Members requiring financial assistance are encouraged to apply for grants administered by the Grants Committee. Accommodations: The President and the Vice President/President-Elect are provided with complimentary accommodations at the Annual Meeting. All other members of the Executive Board, Chair of the Council of Chapter Presidents, and the Chair of the SIS Council pay for their own accommodations at the Annual Meeting, unless such expenses are not reimbursed by their employer. In such cases, accommodations and other expenses incurred during the extra days required to attend Board meetings are reimbursed upon request. Travel: All members of the Executive Board, Chair of the Council of Chapter Presidents and the Chair of the SIS Council pay for their own travel expenses, unless their employer does not reimburse such expenses. Accommodations: The Chair(s) of the Local Arrangements Committee and the Hospitality Chair are provided with four nights complimentary accommodations (Friday—Tuesday) if their employer will not pay for their rooms. Pre-Convention Expenses: Members of the Local Arrangements Committee are reimbursed for expenses (e.g., telephone and postage) incurred prior to the Annual Meeting in connection with local arrangements planning. Accommodations: The Program Committee Chair is provided with four nights complimentary accommodations. Travel: All members of the Program Committee pay their own travel expenses. Pre-Convention Expenses: Members of the Program Committee are reimbursed for expenses (e.g., telephone and postage) incurred prior to the Annual Meeting in connection with program planning. Documentation and receipts must accompany requests for reimbursement. Accommodations: Committee Chairs and members pay for their own accommodations at the Annual Meeting. Travel: Committee Chairs and members pay for their own travel expenses. Association members speaking on Annual Meeting programs are not reimbursed for housing, registration, travel or incidentals. AALL does not pay honoraria to AALL members for presentations at programs that are covered by the Annual Meeting registration fee. Honoraria and meal and transportation expense reimbursement for non-AALL members speaking on Annual Meeting Program Committee-selected programs must be requested by the program’s coordinator and approved by the Program Committee Chair subject to the general direction of the President and the Director of Meetings. These expenses are approved as part of the Annual Meeting speakers’ budget. When housing for a speaker is requested by the program’s coordinator, lodging at one of the convention hotels is provided through the Association’s designated housing contractor for one night only unless their participation or the logistics of travel require a longer stay (to be approved by the Director of Meetings). When air travel for a speaker is requested by the program’s coordinator, travel must be booked 30 days in advance through the Association’s designated travel agency and direct-billed to AALL in order to take advantage of previously arranged discounts. All travelers will be offered the least expensive direct route to their destination. Connections and one-stop flights may be used if they are not unreasonable in time loss. Airline preference will not be considered to gain frequent flyer mileage. Travelers who want to be selective in their airlines or travel class will be responsible for the cost differential. Reimbursement may be approved and provided for ground transportation to and from the home airport, and to and from the airport in the meeting city. (Rental car costs are not reimbursed.) Meal expenses on travel days and the day of the speaker’s program may be reimbursed up to $75.00 per day when itemized receipts are submitted with the Expense Reimbursement Form. No single meal reimbursement request should exceed $50.00. Honoraria in excess of $500.00 are to be specifically approved by the Annual Meeting Program Committee Chair. 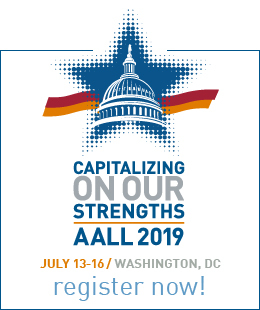 Expenses for a member of AALL receiving an honor and/or award at the annual meeting are not reimbursed by AALL unless specifically authorized in advance by the President or Executive Director. Expenses for non-members are reimbursed to the same extent as those of non-AALL members speaking at the annual meeting. Standard per diem allowance for two days ($75 per day maximum/$50 per meal maximum). AALL does not reimburse expenses for travel or meals for award winner’s guest. Gallagher recipient(s) are responsible for making their own travel arrangements and submitting receipts for reimbursement to the Director of Finance. Gallagher recipient(s) will be contacted by the Director of Meetings to make accommodation arrangements and confirm complimentary registration(s). These events include pre-meeting workshops, professional development programs and CONELL. Association members who serve as Directors, instructors or speakers at workshops, professional development programs and CONELL are reimbursed for the difference between the added expense of participating in the workshop, professional development program or CONELL, and attending the annual meeting. While such members are not expected to pay registration fees of these events, their expenses related to their participation should be included in the approved budget. Requests for reimbursement must be submitted in accordance with the AALL GENERAL POLICIES. Accommodations: are provided with lodging at the workshop or program through AALL’s housing contractor. Travel: AALL members may be reimbursed for the additional expense to and/or from the program site and the site of the Annual Meeting. Non-members may be reimbursed for travel to and from their home at the site of the workshop or program. AALL may pay program developers and presenters, whether or not they are AALL members, to develop and present all other education activities that are part of the Association’s professional development program, and are not covered by Annual Meeting registration fees. Any fees paid for program development and presentation will be included in the budget for these education activities.